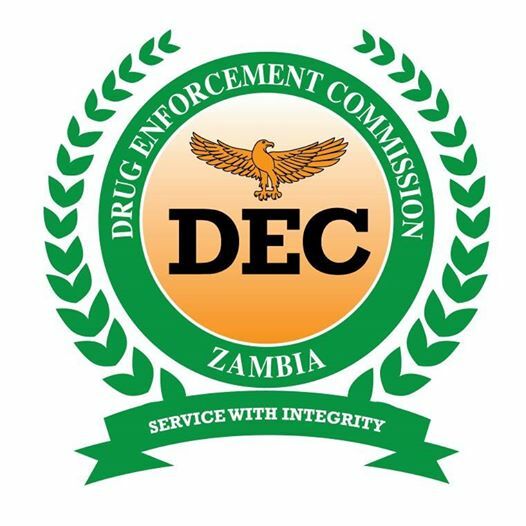 The Drug Enforcement Commission in Lusaka has arrested three Tanzanians and two Zambian nationals for trafficking in heroin and cocaine. This is according to a statement issued to ZANIS in Lusaka today by Drug Enforcement Commission (DEC) Deputy Public Relations Officer, Mutale Chileshe. Mr. Chileshe disclosed that Feruzi Salimu Maulidi, 35, a Tanzanian Businessman residing in Kabanana Compound in Lusaka has been arrested and jointly charged with Alick Mwanza, 26, and Isaac Mwale, 25, both of Chazanga compound in Lusaka for trafficking in 2,773 sachets of heroin and 167 sachets of cocaine. Mr Chileshe also said that in a separate incidence, Feruzi Salimu Maulidi, 35, has been arrested and jointly charged with Anthumani Maulidi for trafficking in 19 sachets of heroin. Also charged separately is Abillah Abebi, 29, a Tanzanian Mechanic of Kabangwe area in Lusaka for trafficking in heroin powder, granules and raw opium. Mr Chileshe said the five suspects were intercepted in Lusaka’s Kabangwe area. These drugs have incredible devastating power on people and nations, and thus Zambia needs to vigorously deal a decisive blow to the problem, before it spirals out of control. Give these drug runners stiff penalties, minimum 50 years in prison. That is even lenient, but at least humane, considering other nations are meting out capital punishment for drug running. Ignore that, and Zambia will pay a hefty price in the end, when you have millions of crackheads and heroin addicts running around the country like zombies. Dununa reverse under pf. Poverty means increase in violence and drugs trade. Zambian Gov’t must make it a No Drug Zone Country. We having Capital punishment on our legal cheaters, let’s use that to frighten these monsters away. We do not need this type of money making. It’s the culture of Caribbean lifestyles being projected in Diaspora music that is opening up these type of lifestyles. Bet they were headed for that Flying Fish Party. Kick them out without delay. Let them go back to Tanganyika and Marabi (Nyasaland) respectively.